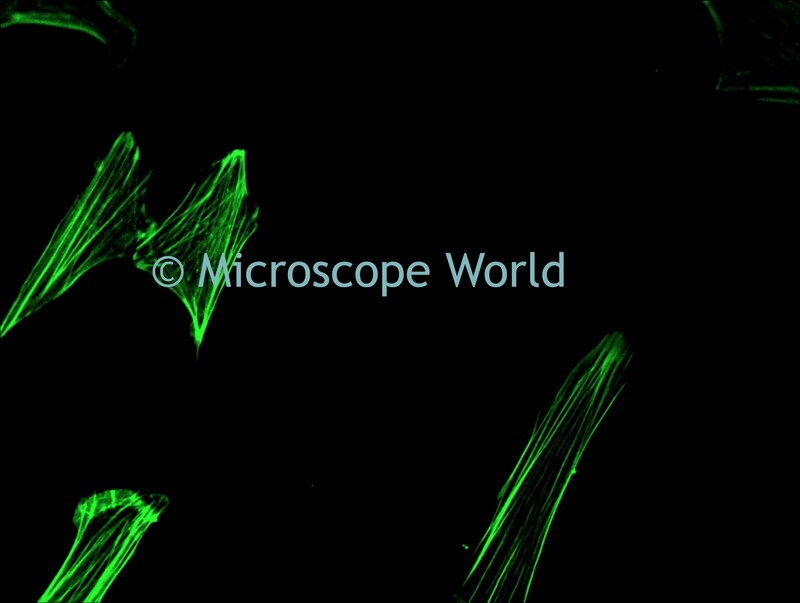 By using fluorescence or phosphorescence, a fluorescence microscope allows the study of organic or inorganic substances. 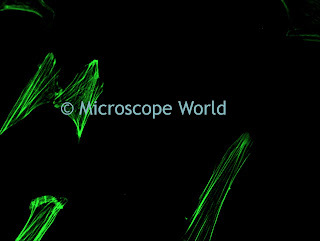 Whereas traditional light microscopes use only reflection or absorption to view specimens, fluorescence microscopes illuminate a sample with light of a wavelength that causes fluorescence in the sample. This light is a longer wavelength than the illumination, and is then detected through the microscope objective. An illumination (excitation) filter – ensures the illumination is near monochromatic and at the correct wavelength. Second emission (detection) filter – ensures none of the excitation light source reaches the detector. Fluorescence microscopy takes a different approach to creating a light microscope image to transmitted or reflected white light techniques such as phase contrast or differential interference contrast. These two contrasting optical microscopy methods provide very different, but complementary data. So how does a fluorescence microscope work? The filters and dichroic are chosen to match the spectral excitation and emission characteristics of the fluorophore (color) used to label the specimen. The distribution of a single fluorophore is imaged at one time. Most fluorescence microscopes are “epi-fluorescence microscopes”. Epi refers to the fact that the excitation and observation of the fluorescence are from above the specimen. Fluorescence microscope image of mouse embryo.